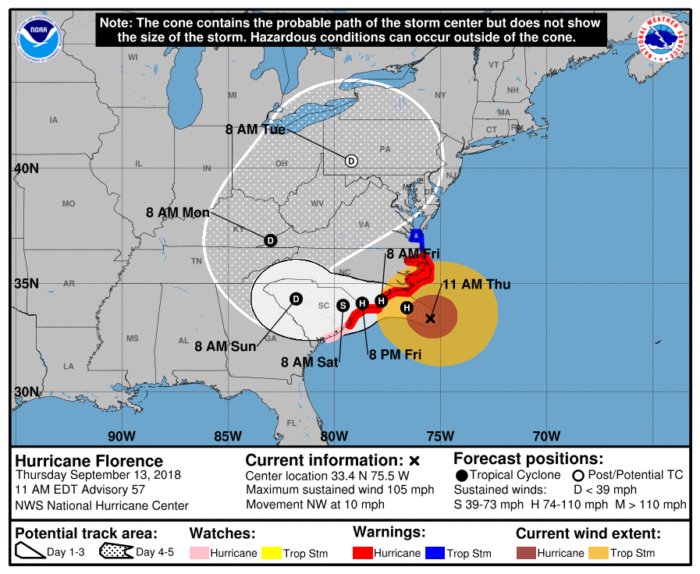 Hurricane Florence has been adjusted to a category 2 storm with maximum sustained winds of 110 mph as of 10 AM ET. 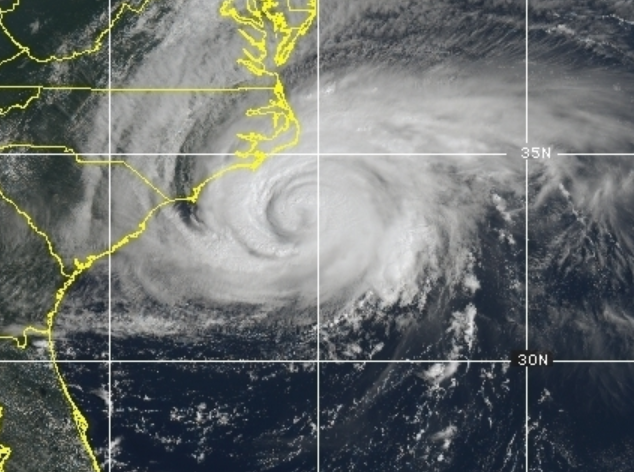 Florence sits about 160 miles ESE of Wilmington, NC. Landfall is still expected sometime early Friday. The outer rain bands of Florence are bringing rain to the Outer Banks this morning. 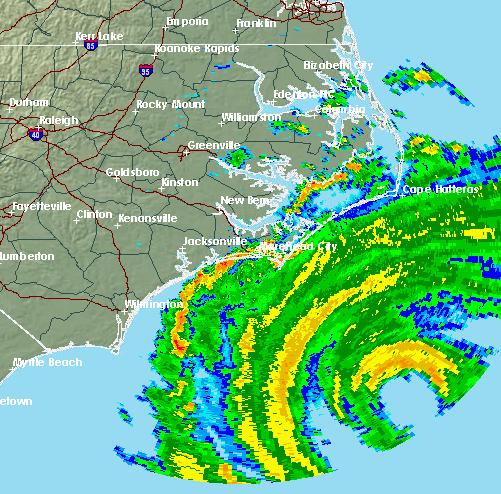 Florence’s eye is visible on the Morehead City, NC radar. Rain and strong winds will continue to spread across the Carolina coast today. Tropical storm force winds have already reached the coast, but hurricane strength winds will be possible by tonight. Tornadoes are also a threat as Florence continues to move closer to shore. A Tornado Watch is in effect until 9 PM ET. Stay tuned for updates. Follow us on Twitter.